People often associate Alaska with snow and ice. Winter months are spent mostly indoors because of the extreme cold. In winter the sun doesn't rise till 11:30 in the morning, and there is no more than 4-5 hours of daylight. Temperatures can reach - 80 degrees with wind chill factor. However there is a lesser known and warmer side to the state as well. 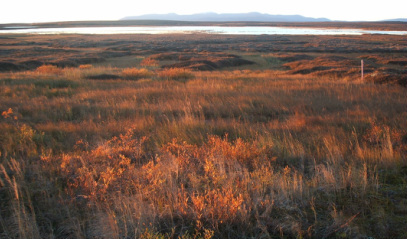 In the Central Yup'ik area, the short summer season is in July, August when temperatures can reach 80 degrees Fahrenheit. The sun is also out about 19 hours a day. At this time the growing is prolific. It is the season of much activity day and night, by people, animals and vegetation. Summer rains through August mark the beginning of fall. 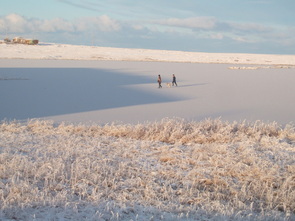 First freeze up means checking the ice for safety. 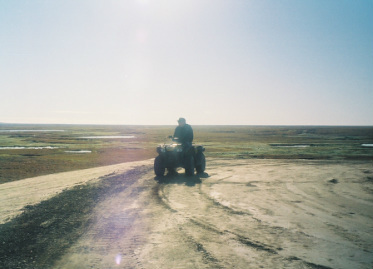 Riding on the tundra in summer can still be chilly. 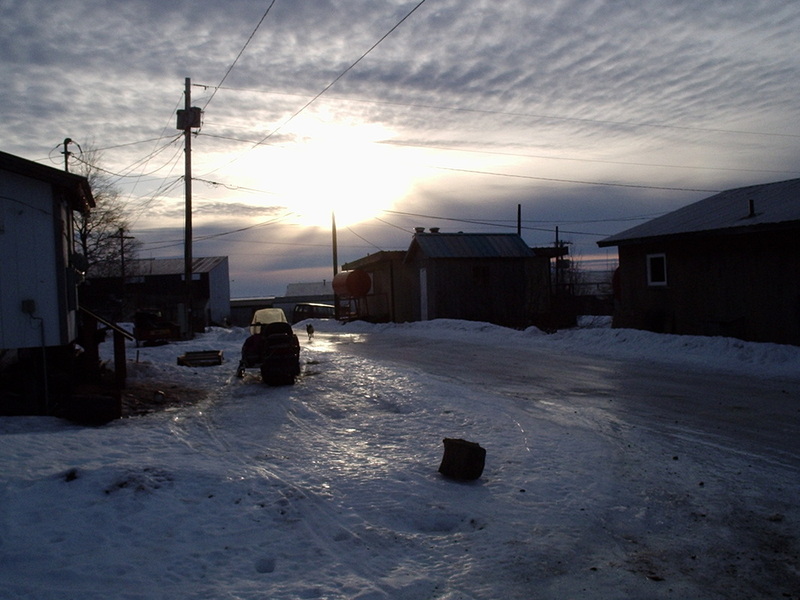 The village has short daylight hours in winter. Ice cleats are essential if you wish to stay upright, when sheet ice lies just underneath the snow. Beginning of freeze up and treacherous walking time. 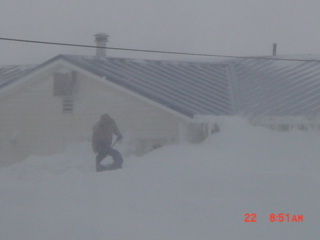 Digging out of the house. 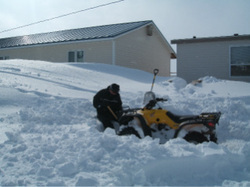 Digging out vehicles is part of the winter scenario. 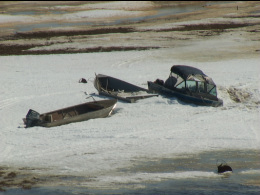 Here the melting snow exposes fishing boats. A summer's day in the bush. Even though the day may appear to be warm and sunny, the wind can still be bitingly cold. Bugs can make life miserable for animals and human alike. For these reasons, long sleeves and bug sprays are useful in the summer. Tundra is exposed after months of lying under snow.